Cat Deeley is one of the most famous television personalities in Britain. She's also well-known in the U.S. as the host of "So You Think You Can Dance." 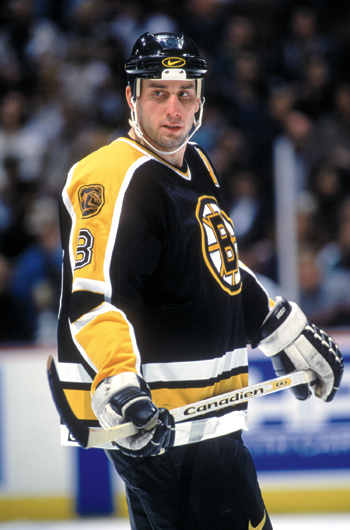 But when I hear the name "Cat Deeley," a relay in my brain clicks over and I think of former Boston Bruins star Cam Neely. 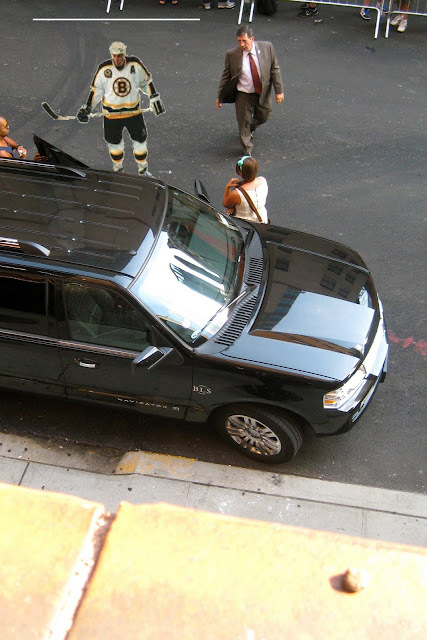 Cam Neely in full uniform on 53rd Street with the gum in the foreground. This is why Al Gore invented the internet! That's no uniform, that's a full body tattoo. Wow, how drunk do you have to be to get a tattoo like that, even if you're actually Cam Neely? Carmelo Anthony, plus a bonus mystery celebrity!